Matthew Selt is one of snooker’s most improved players of the past two years, and he insists his progress is all down to the appliance of science. After being spotted in his teens by the legendary mentor Robbo Brazier, who played a key part in Steve Davis’s early career, Selt spent a decade struggling to fulfil his potential and was close to quitting snooker. The turning point for the 30-year-old from Romford came when he hooked up with influential coach Chris Henry, who has worked with Stephen Hendry and Shaun Murphy as well as golfer Rafael Cabrera Bello. Part of Henry’s coaching method is an emphasis on muscle memory: consistent repetition in order to improve technique and results. “When I first started working with Chris, we looked at what my weaknesses were and how I could strengthen them,” Selt explains. “We worked on reprogramming my brain in order to find more consistency in my technique. It’s all about creating neural pathways, as well as considering how the brain reacts to certain situations. People say ‘practice makes perfect’ but in fact the saying should be ‘practice makes permanent’ because you have to make sure the things you are practising are right. “I went to see Chris because I knew he was a great guy and a fantastic coach. When we started I said I wanted to know the facts behind his theories. He explained everything to me and I learned an awful lot. It opened up a new world to me and made me want to practise. Once you understand how something works, it gives you the enthusiasm to improve. “I used to think that practice was just playing snooker in order to get better. That’s true in a way, but above all it’s about repetition. There is no one who repeats his process better than Mark Selby – his technique is the same every time. He doesn’t have the best technique, but he does the same thing on every shot and it never lets him down. And he wins the most money every season – that’s no coincidence. “My weaknesses are a lot less noticeable now. I used to struggle to play with left hand side, ridiculous as it sounds. I’m still not great at those shots but I’m far better than I was before. Every day I try to improve my consistency on the things I’m not good at. Safety has never been a problem for me, in years gone by I practised a lot with Joe Perry and Mark King and that helped me develop a phenomenal safety game. “Scoring used to be my problem then last season I made 26 centuries and only four or five players made more. This season my scoring has not been quite as good but I am improving on that side because I have more shots in my game now which opens up more avenues. I believe I can become a very hard player to beat. Last season was the best of Selt’s career as he reached the final of the Lisbon Open, where he was denied the title by Stephen Maguire, as well as reaching the quarter-finals of the Players Championship. 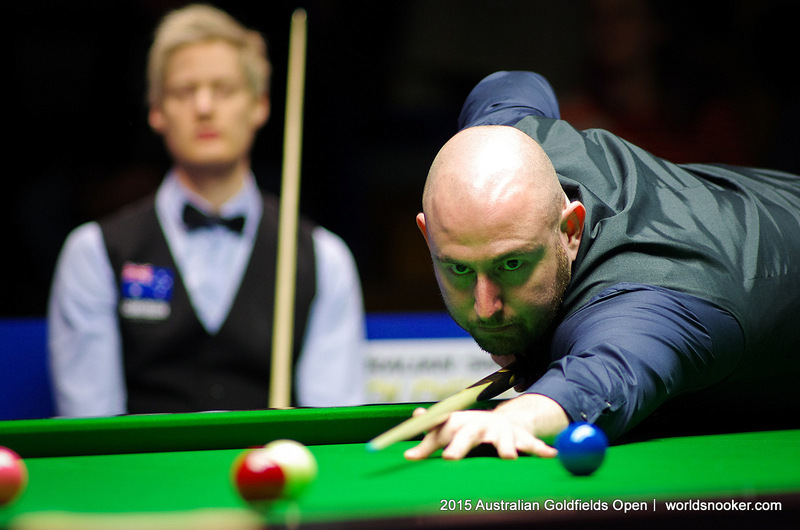 This season his best runs have taken him to the last eight of the Australian Goldfields Open and the UK Championship and he is up to 22nd in the world. “I’ve had some good results this season,” he said. “I feel I’m making progress and my game is getting stronger. I’m putting myself on the big stage more and more and getting used to the conditions. I haven’t got to the latter stages of a big tournament which is slightly disappointing. But most of the players I’ve lost to have been top class. “I’m still learning, still trying to get better. I’ve got a lot to work on. I’ve got at least another ten years of playing and I’m sure good things are around the corner. Two years ago my game was all over the place and I didn’t even want to play snooker any more. “I don’t feel as if I can get any higher until I start winning tournaments, and that is the next stage for me. You can’t really get into the top 16 without doing that and I don’t feel I deserve that yet.